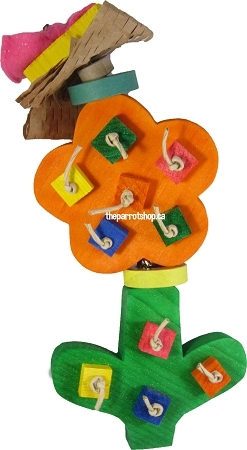 This is definitely a flower worth picking! 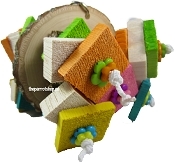 It is scrolled using our 3/4 inch thick soft pine and comes complete with brightly colored wood squares attached with knotted hemp rope. We've topped it off with crinkled paper, cardboard cone, and a festive fleecy bow. Approximately 11" long.